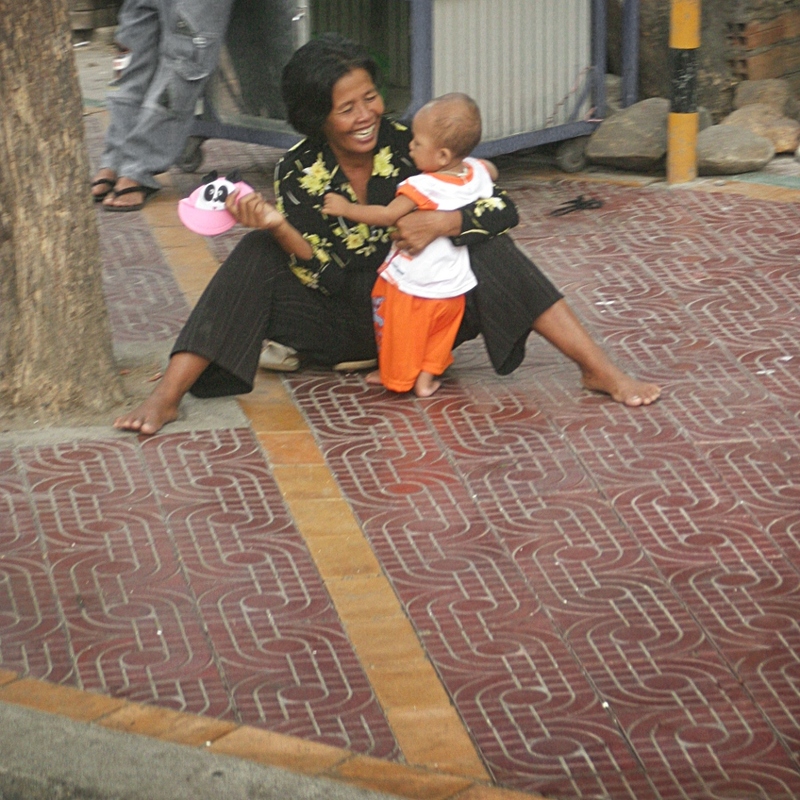 In a street of Phnom Penh. I was on the bus going back to Vietnam. People often smile and laugh here.